Salt’s reputation as a “dangerous” food ingredient – some critics call it “white death” – hasn’t kept Americans from consuming it in large quantities. Many consumers find a “salt-free” diet bland and unappealing. Moreover, a growing body of science has shown that salt – in moderation at least — is not that bad for you. Among other things, it can aid with sleep, reduce stress, improve digestion, and even help ward off allergy attacks. In fact, it may even quench your thirst. Well, not exactly. But a study published last month based on tests with Russian cosmonauts found that ingesting salt can help build up large stores of water in your body. That means you’ll be less likely to overheat the next time you sweat and may feel less thirsty, too. The study’s findings contradict the commonly held view that salt makes thirst worse while adding liquid helps dilute its effects. While it may feel that way when you drink water, the relationship of sodium chloride and H20 in our bodies turns out to be far more complex, researchers have discovered. Jens Titze, the Vanderbilt University scientist who directed the new study, found that the cosmonauts he tested with varying doses of salt increased the levels of glucocorticoid hormones in their body. That’s significant because these hormones break down muscle protein which is converted into urea. Urea typically helps the body excrete waste, typically through the urine. But with salt, the urea — for reasons not well understood — also retains water. Lots of it. The water-conserving effect can be felt within 24 hours and may last for days, Titze found. Naturally, that’s of great interest to the Russian space program because it means that cosmonauts might not dehydrate so quickly — and could reduce their need for water supplies. But it also has implications for hikers or travelers or just everyday consumers seeking to create a balanced diet. For example, if people need to drink less water with higher salt intake, they are less likely to gain weight. Excess fluid intake is one reason consumers put on extra pounds. especially in the absence of regular exercise. Titze is no rookie researcher. He’s been studying food and diet issues with Russian cosmonauts for nearly a quarter century. He first discovered a scientific anomaly involving salt in 1994, when he noticed that the space team’s urine levels were unusually high. But it took him another 12 years — during a subsequent Russian flight simulation — to test his hypothesis that salt was likely the cause. Some kidney specialists contacted about Titze’s study, which was replicated with laboratory mice, have expressed astonishment at his findings. None of the latest research findings prove that high salt intake is always a plus. While researchers have largely debunked the connection between salt and hypertension, past studies have linked high glucocorticoid levels to type 2 diabetes and muscle loss. 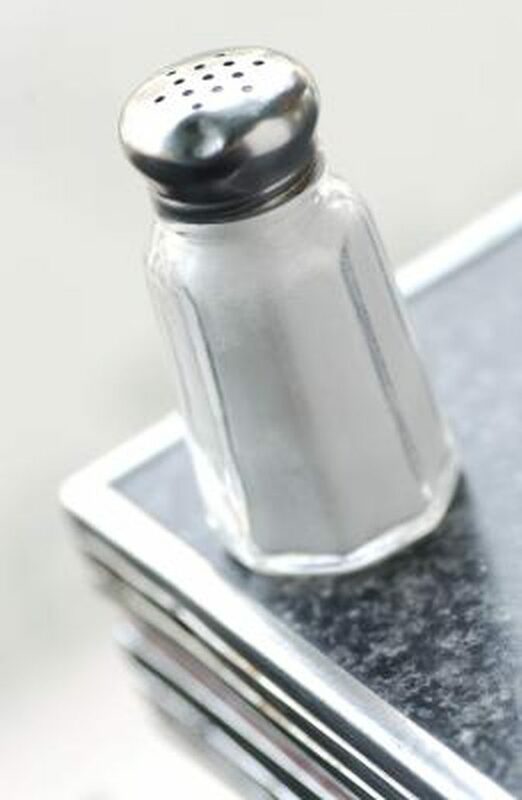 So having too much salt in your diet is still a potential health concern. What’s the right balance? No one knows quite yet. And it may vary from individual to individual anyway. But Titze’s findings – published in the Journal of Clinical Investigation — are only the latest evidence that salt is more friend than foe.